That's too bad about that M*nd*y thing. I still expect my two carrot dogs with raspberry garnish in kale buns. 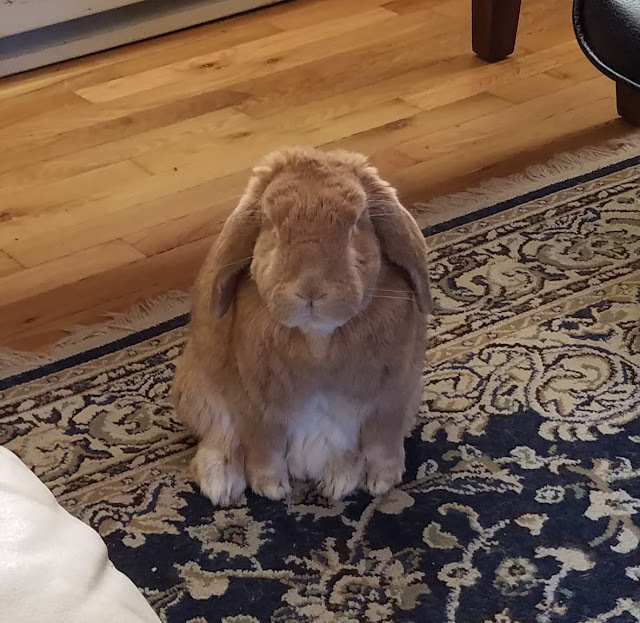 And I'll be sitting here at attention, judging you till the treats arrive! We once had Goldie - same stance, same look, same message. Snuggly cuddly bunny though!!!! Peaches has one hell of a judging stance, that's for sure. I wouldn't want to earn her disapproval. But, Sally, it is so easy. And, it's free. People will be jealous of you. Come on. Be brave. Peaches needs to lead a purpose driven life.